Following reports of the U.S. allegedly spying on German interests, Germany requested a CIA station chief to leave the country on Thursday. The CIA official was stationed at the U.S. Embassy in Berlin, and was the top CIA official in Germany at the time. According to a statement released by the German government, the disposal of the U.S. official comes on the heels of a federal investigation into U.S. espionage activities in Germany. General as well as the questions pending for months about the activities of the US intelligence services in Germany, for which the Lower House of Parliament has also established a parliamentary inquiry committee. The Federal Government takes these incidents very seriously. It remains vital for Germany, in the interest of the security of its citizens and its forces abroad, to cooperate closely and trustfully with western partners, in particular with the USA. According to The Washington Post, the request was made just a day after German police searched the office and apartment of a German individual who allegedly worked with CIA intelligence. The individual reportedly has ties to the German military. The New York Times reported earlier this week that a young German intelligence agent was also recently arrested for leaking German secrets to the CIA. When President Barack Obama called German Chancellor Angela Merkel last week to discuss the Ukraine-Russia crisis, he reportedly didn't know about the arrest — and Merkel chose not to tell him about it. 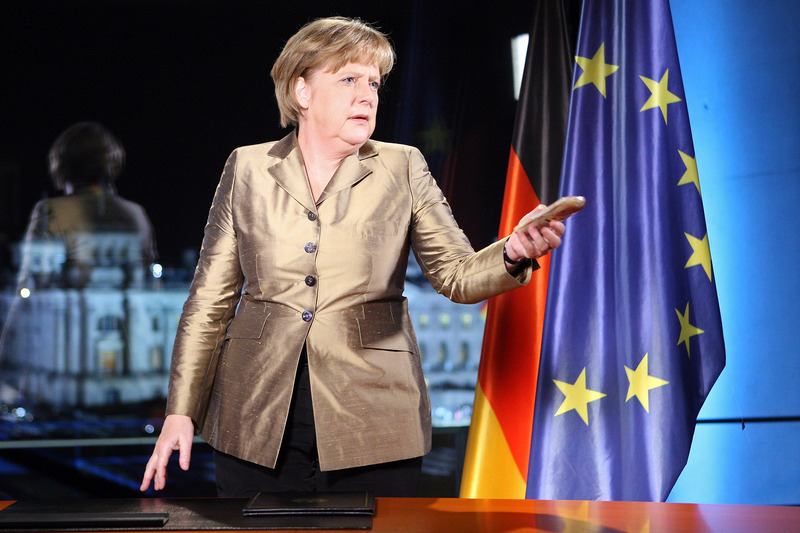 Needless to say, tensions remain high right now between Merkel and the U.S. government. Details about the blown intelligence operative and the German secrets that have been shared remain scant, but The Times said the agent is 31 years old and works for the BND, Germany’s federal intelligence agency. A U.S. official told the newspaper that it's still looking into who in the CIA knew about the arrest of the agent, and why the news of the arrest didn't make it to the White House sooner. The expulsion of the top CIA official from Germany may also have to do with Obama's promise to Merkel after it was revealed in 2013, thanks to Edward Snowden, that the U.S. was spying on Germany. A German parliamentary committee opened up an investigation because of Snowden's report. Reuters reported the German operative was allegedly passing along information to the U.S. about the parliamentary investigation. The relationship that the United States has with Germany is incredibly important. This is a very close partnership that we have on a range of security issues, including some intelligence issues. All of those things are high priorities not just to this administration, but to this country. So we're going to work with the Germans to resolve this situation appropriately.